THE COMIC ART WORKSHOP NEEDS YOUR HELP TO RUN THIS YEAR! The campaign is LIVE NOW!!! And only up for about three weeks – so have a look now and jump on those sweet rewards! 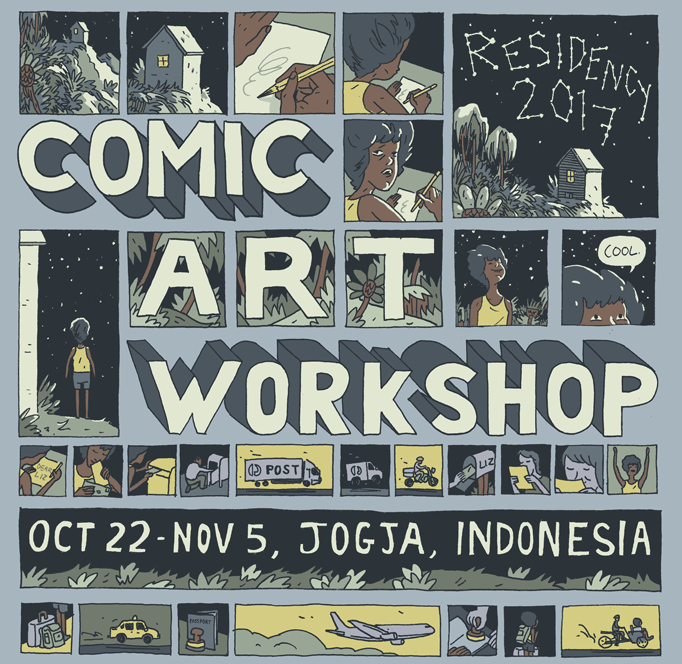 In October-November: I’m off to Jogjakarta for the second biannual Comic Art Workshop to work with a bunch of incredibly intelligent and handsome graphic novelists (they really are actually quite hot … who’d’ve thought!!!) from five different countries to help each other make our graphic novels better! BUT the Comic Art Workshop didn’t get all the funding it needed to run … and we’re hoping to raise a few funds to get this wonderful thing off the ground. Jump on the crowdfunding page to check out what if you’d like to get some of the SWEET REWARDS. There are some truly wonderful wonderful artists involved with CAW, and the rewards are actually some of the finest rewards I’ve seen on a crowd-funder. My special reward to two generous lucky-ducks is, that I shall render their love letters to their dearest lover into an exquisite illuminated manuscript. LOVE WINS! Whilst we are in Indonesia for the Comic Art Workshop – we will all make a side-trip to Bali for the Ubud Writers and Readers Festival! to perform and present some of our comic works at a Read To Me event, part of the program. * I Wanna Be A Travella in Sri Lanka; a full colour travel journal book of my recent trip to Sri Lanka. Keeping it Australian in focus – Mandy Ord’s Sensitive Creatures, published by Allen & Unwin. She is the sweetheart of the Aussie comics scene … with all her heart (and farts). Tonight’s concept art for Sydney/Purgatorio, a graphic novel that I am working on slowly with Craig San Roque about migration, trauma, psychotherapy and architecture. 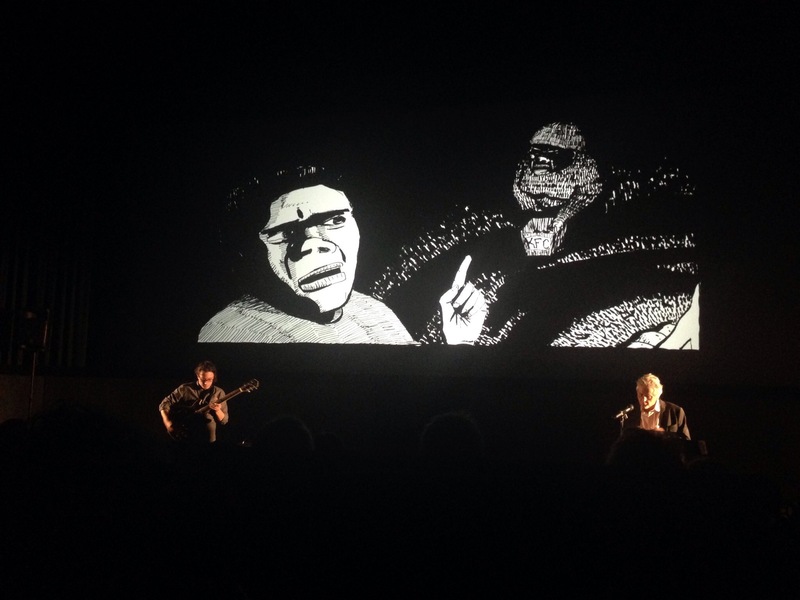 Recently I was asked by Brian Ritchie to perform my guitar-stuff at the VIP launch of MONA’s new exhibition The Museum of Everything as part of Dark Mofo in Hobart. I haven’t played much in recent years … because comics … and I honestly didn’t think it was going to be a particularly interesting gig but it turned out that I loved playing in the wide expanses of the resonant cavernous underground areas of that crazy museum. Totally cranked the noise! Had a ball. 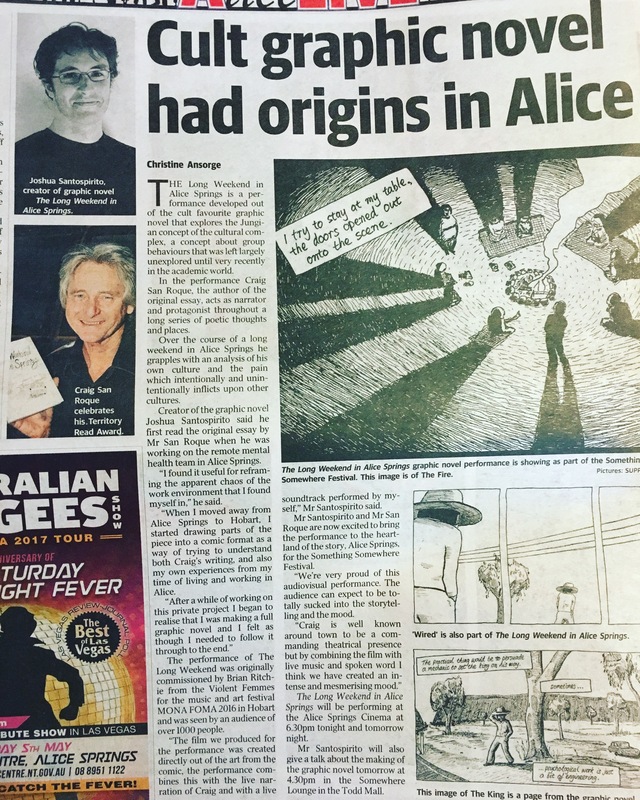 July 15, Saturday – Read To Me, a comic-reading event at The Comic Con-Versation at Ashfield Library in Sydney. 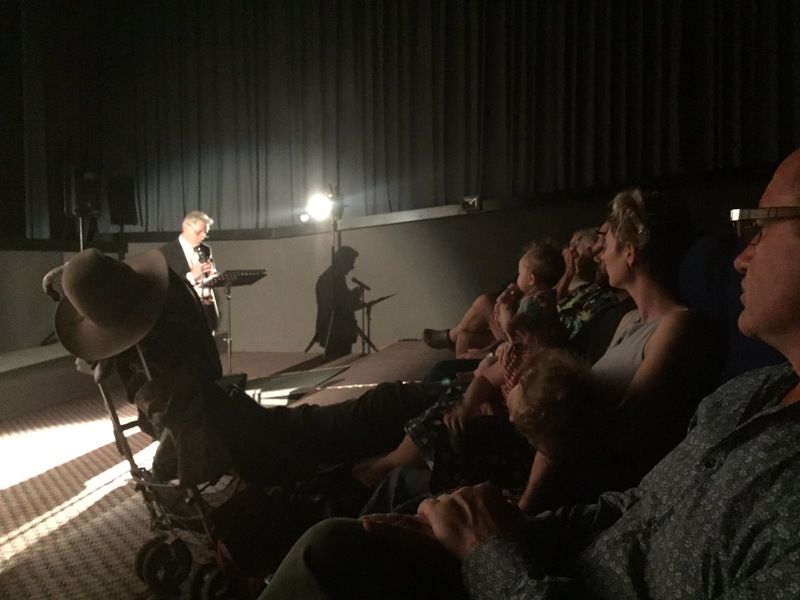 Read To Me will become a regular bimonthly event in Sydney, so jump on their website and get on their email list. It’s going to be a great way to get your storytelling fix from visiting and local artists. 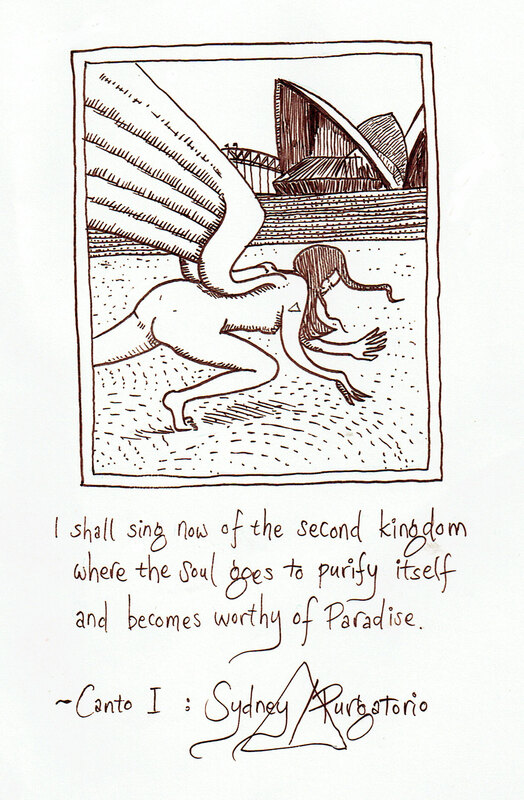 Sydney/Purgatorio, a monolithic graphic novel that I shall be working on forever with Craig San Roque. 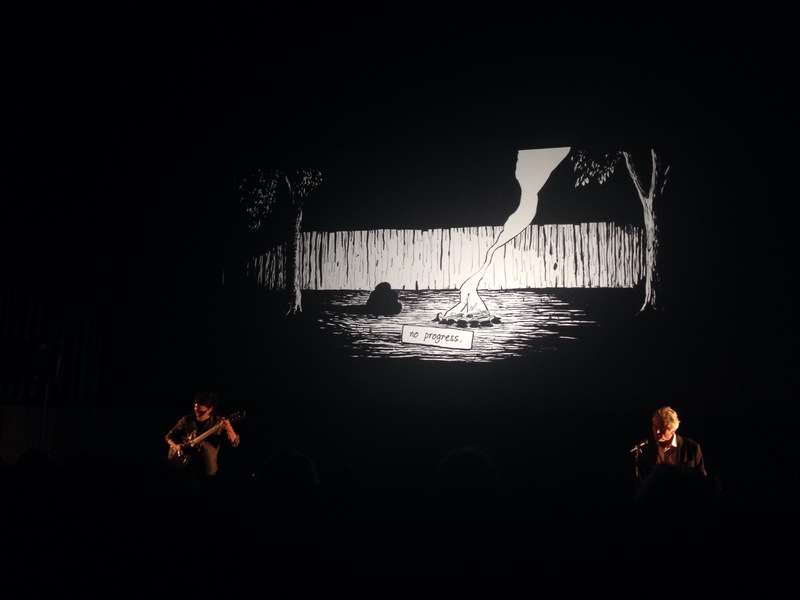 It’s about migration, hope, psychotherapy, cities and architecture. See the angel artwork at the top but also you can look at these process images on Instagram. I recently read Emil Ferris’s debut graphic novel My Favourite Thing is Monsters which is super intense, messily written, problematic and TOTALLY BRILLIANT. Read it!! I’ve been asked to play my weird guitar music at the VIP launch of The Museum of Everything, the new major exhibition that MONA is putting on. VIP Launch, for those lucky enough to be invited, is on Saturday the 10th at 10am, the public opening is from midday, there will be LOADS of great music acts throughout the museum, and of course Dark MOFO is on with Mogwai playing in town that night! Very excited as I haven’t performed much music due to working like a slave on graphic novel work over the last couple of years. 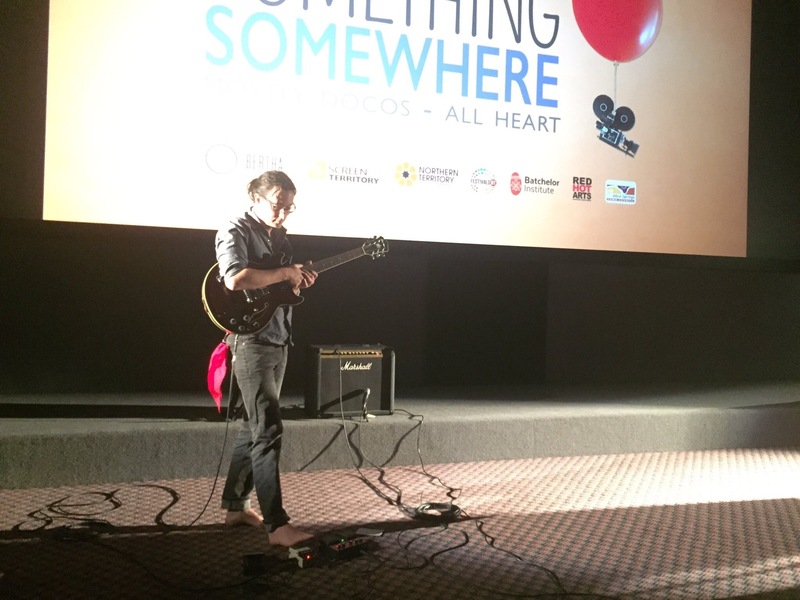 The only guitar playing I’ve gotten in lately is the live performances of The Long Weekend in Alice Springs at the Something Somewhere Film Festival in Alice Springs.